As salespeople, we’re often so focused on the bottom line that we forget to monitor how our sales are originating. The smart salesperson involves themselves in every stage of the funnel, from attraction to lead capture and conversion. Brian Harris of Videofruit fame, says the first thing he does when someone hires him to help them grow their business is to look at 11 pages on their website – their homepage and the top 10 most popular blog posts. Why? In this 3 part series, we have demonstrated the value of offering bonus content for capturing more leads. In fact, eConsultancy reports that the average pop-up will increase opt-ins by up to 400%. The final post in this series is all about optimization. Now that you’ve implemented your lead magnets (if you still haven’t, do it now by downloading the book at the end of this post), you want to make sure they’re optimized for maximum conversion. The people receiving your bonus offering must consider it useful and relevant. It has to be authentic, include the wrong bonus content and you’ll lose more customers than you’ll ever convert. Your content upgrade does not need to be better than your blog post; it simply needs to add value. A good rule of thumb when deciding on your bonus content – offer content you would opt-in to receive yourself. They say the average human attention span is around 8 seconds, just one second shy of a goldfish. You might just have the best bonus content ever created, but if you’re not reinforcing this offer with regular CTA’s (Call to Action) throughout your post, the likelihood is, prospects won’t make it far enough to ever receive it. Alert prospects early on that there is a reward to be claimed at the end. 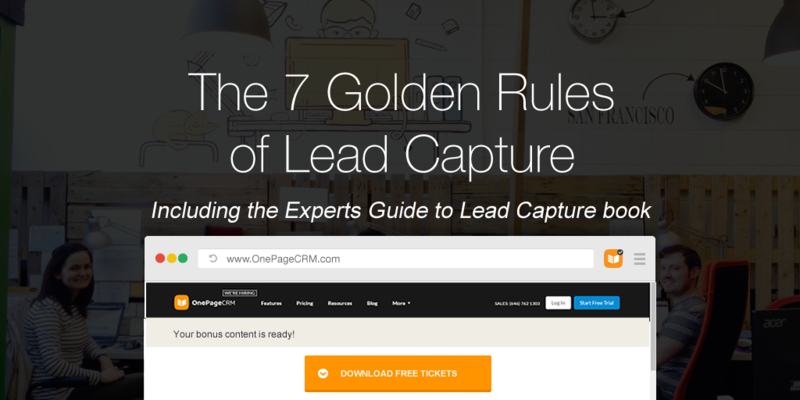 Did I mention that our Experts Guide to Lead Capture book is available to download free at the end of this post? Your additional content should not take you any longer than an hour to curate, that said, it’s no after-thought. Your marketing team should be able to create a quality content upgrade, that attracts, in under an hour. The ultimate goal is to get prospects to opt-in for more. You need to be offering something of substantial value. 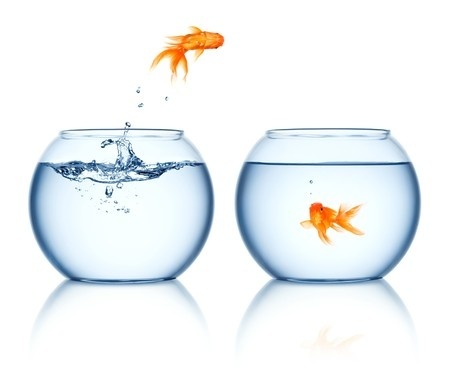 Once a prospect has opted-in and submitted their contact details, the rest is really up to you and your sales team. Derek Halpern of Social Triggers, coined it perfectly when he created the ‘Bonus Sandwich’ – vertically integrated offers that help to convert prospects at different stages of the funnel. The “meat” of the sandwich is your primary offering or blog post. You want to engage your prospects with great content, so that they have no choice but to opt-in for more. No good sandwich is complete without the bread, two mouthwatering slices of bonus content. The “bread on the top” is a bonus related to your main offering that people can use after they opt-in. Example: If your blog post is an explanatory article about a feature update, an “after use” bonus could be a video guide on the same. We added a quick video guide to a recent article, ‘How to export your LinkedIn contacts to a spreadsheet and import into OnePageCRM‘. The video received 75 opt-ins in 7 days. Resulting in 75 new leads. Leads we would not have captured if we just offered the article alone. The “bread on the bottom” is a bonus that addresses anything that may be preventing your ideal customer from using the main product that you’re selling. Example: A checklist for getting started with your product. OnePageCRM employed this tactic with a recent blog post, by offering subscribers a checklist for ‘Getting Started with OnePageCRM’. The guide included tips for importing contacts, setting up integrations and information on contacting support. 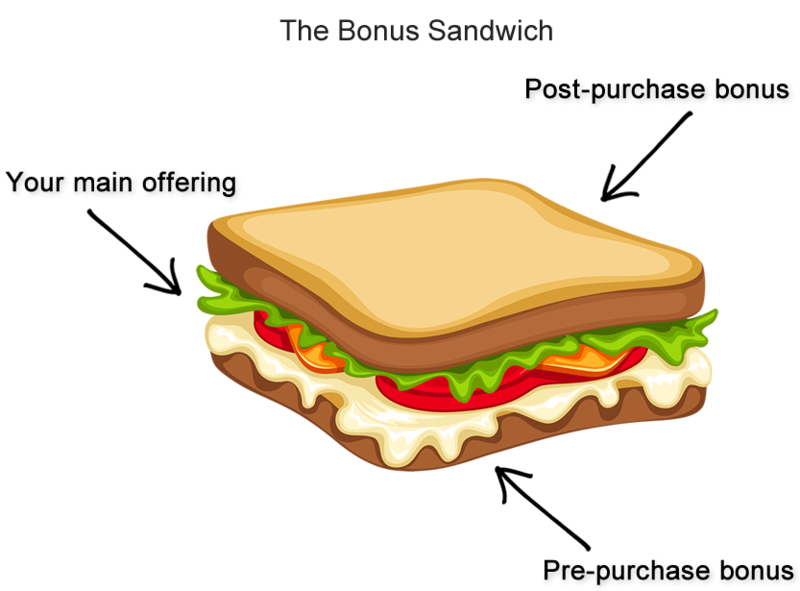 Most companies who already include bonus content in their posts, only consider the bread on the top. However, adding that additional bonus to attract prospects who may be still undecided about your product, is simply genius. A two-step opt-in gets visitors to click a button, image, or line of text before they see your opt-in bribe. 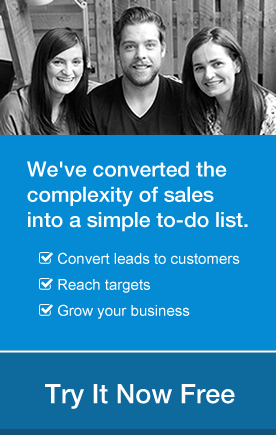 We use LeadBoxes, a fantastic tool from the people who brought you LeadPages. With LeadBoxes, you can easily implement a two-step opt-in. According to LeadPages, implementing a two-step opt-in versus a one-step opt-in will help increase conversions by an average of around 30%. Always package your offer so that your bonuses are given away for free in addition to the main product. Offer the bonus content behind an opt-in form; never include it in the original offer. Blur the lines between the offer and the bonus and you risk losing the trust of your prospects. If your lead capture strategy is a carbon copy of what every other company is doing, you’re not going to see results. You need to get creative, have a little imagination.